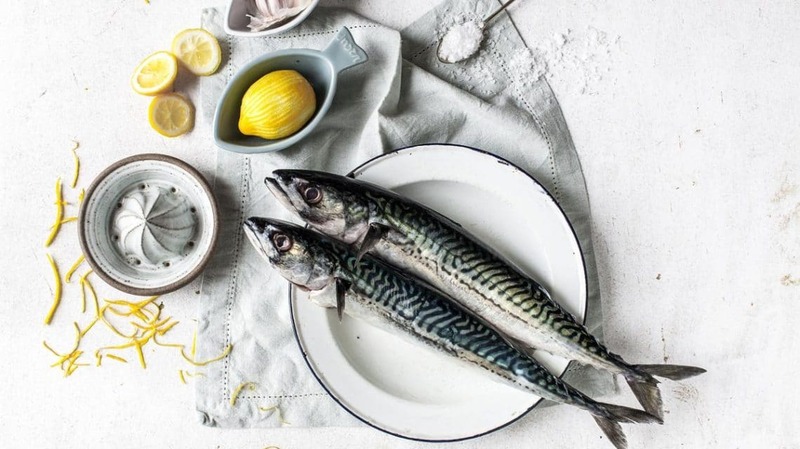 The health benefits of Omega 3 and why you need it in your diet. First, what is Omega 3? It’s something most people have heard of, but the majority don’t really know what it is (including doctors and health professionals). It’s a type of polyunsaturated fatty acid. There are several types of Omega 3, of which the most important are EPA (eicosapentaenoic acid) and DHA (docosahexaenoic acid). They’re found in their highest concentrations in fish and seafood which is why most supplements are fish oil based. Seeds and nuts contain ALA (such as Flaxseed or Chia) which our bodies have to convert into EPA and DHA (the fish have already done this for us) but our bodies are not good at this and studies show that only about 4% is converted. You’ll also hear it referred to at an ‘essential fatty acid’. This is because we have to consume it – our bodies can’t produce it. For example, we can produce Vitamin D from sunlight but we can’t produce EPA or DHA from anything unless we eat it directly. If you visit a nutritional therapist or read any advice about which supplements to take, Omega 3 is always the first one on the list. Widely believed to be one of the main reasons we developed as a human race to became the intelligent beings that we are. Anthropological research shows that populations based near the sea or rivers developed intelligence at a much faster rate. A large chunk of our brain is literally made of Omega 3 fatty acids, specifically DHA, which is why it’s often referred to as ‘brain food’. Omega 3 does wonders for our skin, more than any expensive face cream or celebrity facial, because it works from the inside and this shows on the outside. After all, our skin is a window into what’s going on in our bodies. Our skin contains DHA and Omega 3 fatty acids are responsible for the health of the skin’s cell membrane, which acts as a barrier to harmful compounds, but also provides a two-way passage for both nutrients and waste products. The membrane also impacts the cell’s ability to hold water and therefore a healthy barrier keeps our skin moisturised, soft and less wrinkled. This is why people with healthy diets and good levels of Omega 3 have nice, plumped up skin. Clinical trials have also shown the anti-inflammatory effect of Omega 3 on conditions such as atopic dermatitis, psoriasis, acne and rosacea. One of the reasons is because it inhibits arachidonic acid, better known as Omega 6, which leads to a reduction in internal inflammation. Confusingly, most people think Omega 6 is good for us, but in large quantities it’s pro-inflammatory and blocks the absorption of Omega 3 as they compete for the same conversion enzymes. In other words, you could be eating lots of oily fish but if you’re also eating lots of Omega 6 from vegetable and seed oils (seen in processed foods and many cooking fats) then you’re cancelling out the goodness. Want younger looking skin and reduced wrinkles? Inflammatory compounds and UV radiation are heavily involved in the aging process and can also lead to skin cancer. Picture yourself after a heavy night out, drinking and smoking, and you see the effects the next day in your skin. The anti-inflammatory effects of Omega 3 can help undo some of the damage and therefore give the skin a younger appearance. Persistent dry skin, acne, rosacea, dermatitis, psoriasis, hyperkeratinization (little lumps and redness on the backs of your upper arms), weak nails, weak and dull hair. 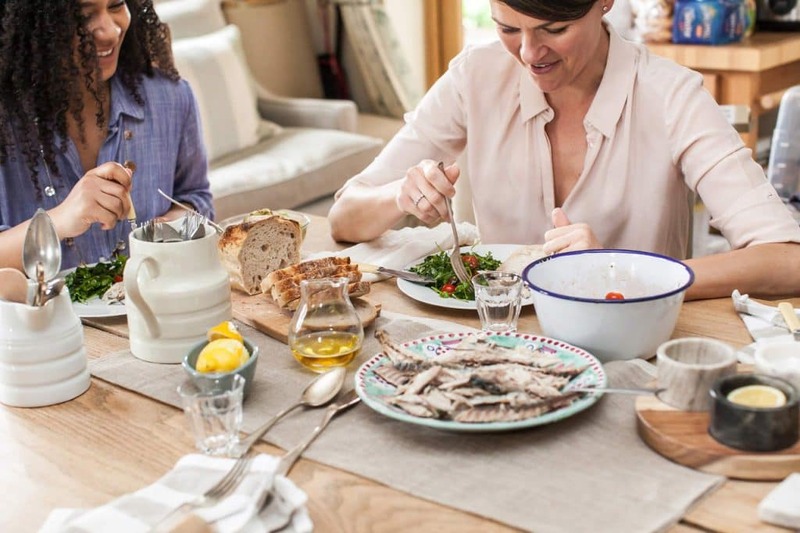 If you want that illusive health glow, plump, clear skin and shiny hair – Omega 3 could very well be the answer (plus removing Omega 6 where possible). Next up, hearts and brains – what could be more important? There are over 14,000 clinical studies on Omega 3 and a large proportion of those are about cardiovascular health. It has been proven to significantly reduce our risk of heart attack, keep our arteries clear and supple, reduce blood triglycerides and blood pressure. Patients with heart disease and post cardiac arrest are prescribed high dose Omega 3 and populations who eat a lot of fish have a much lower incidence of heart problems. The benefits to our brain warrant an entire article to themselves. A large section of our brain matter is made of DHA and during pregnancy, the mother’s DHA is literally sucked from her brain to help the baby’s brain to develop properly. The same happens during breastfeeding, and it’s now a legal requirement to include DHA in baby formula. I, along with many others, believe a deficiency in Omega 3 is a major cause of baby blues and post-natal depression. My own experience of this and the way Omega 3 helped was one of the reasons I started the business. Psychiatrists in the USA prescribe a very high dose Omega 3 to patients and in one famous case, it has also been used to cure a teenager of a serious brain injury – allowing the brain to re-grow. Recent clinical studies have also shown that Omega 3 actually increases the volume of grey brain matter and could be used to prevent degenerative diseases such as Alzheimer’s. Inflammation has also been shown to be the root cause of most degenerative diseases and Omega 3 is nature’s most powerful anti-inflammatory. It goes without saying (for all the above reasons) that Omega 3 is essential during and post pregnancy, for both the baby and for mum. How many children do you know who sit down to a nice plate of sardines every day? Just as during pregnancy and breastfeeding, Omega 3 is critical for children and continues to be throughout their growth into adults. Proven to improve reading among under-performing children and widely used for children with autism and ADHD, it’s believed that Omega 3 deficiency (along with poor diets) is the root cause of many learning and behavioural problems. Taking care of our eyes. The health of our eyes is something we take for granted until something goes wrong. Like our brains (and skin), DHA is a major component of our eyes (back to the pregnancy/breastfeeding need) and Omega 3 has been shown to reduce macular degeneration, dry eye syndrome and supports overall eye health. Fitness fanatics and achy knees. 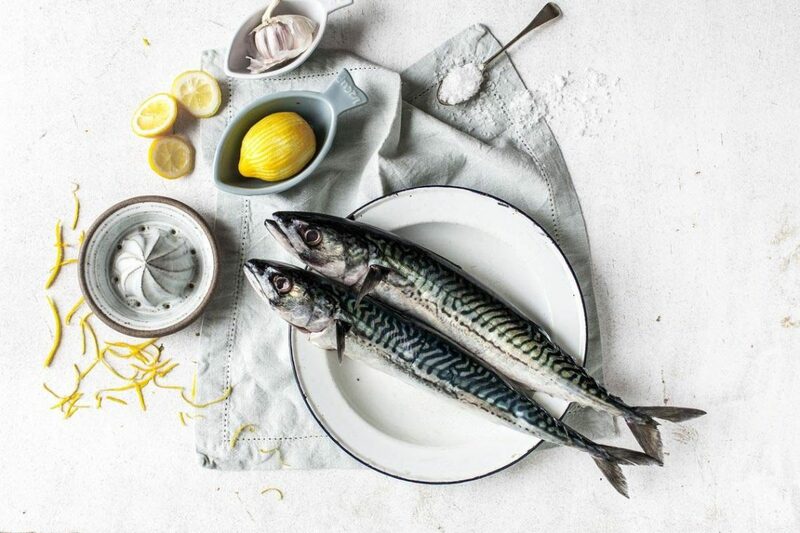 Again, due to its anti-inflammatory compounds, Omega 3 has long been used to support people suffering with arthritis and inflammatory auto-immune conditions which cause joint pain. It’s also taken in high doses by people who do a lot of sport, from gym goers to top athletes – to both decrease inflammation and therefore recovery time and to keep joints pain free. In conclusion, Omega 3 is critical and beneficial for every age group and for every aspect of health. It’s both preventative and curative and even if you’re in good health now, it’s a good insurance policy for later years. Most people who start taking a good quality, high dose, Omega 3 see the benefits in their skin within a few days so imagine what it’s doing to your inside. Lion Heart is available from barebiology.com, Whole Foods & other select retailers.